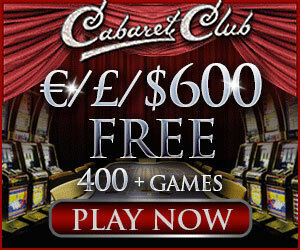 All Slots online casino is launching more exciting games. This time there will be enough slots so that players could feel like kids in a candy store. Get ready to meet the Happy Holidays, Serenity, Star Dust, Bullseye and Lucky Koi. This game is a 5-reel video slot with 243 ways to win – a personal gift right from the Santa’s bag. The minimum bet is only $ 0.30, and in the free spins mode the amount of ways to win is increasing up to x1 024. Plus, in this mode they add another set of symbols and give the lucky players ten additional spins. This holiday cake has a special slice too, since the non-winning spins can launch the Frosty feature. Garden of Serenity awaits those who need more life force, peacefulness and some real cash! His five-reel and fifteen-paylines online slot offers tempting special features, a 120,000 coins prize included. All players have the chance to receive 10 free spins with x3 multiplier, or the Lantern bonus round. In it, they will choose from five beautiful lanterns with a prize hidden in each of them. Go to the stars in Star Dust – another new game from Microgaming. Explore the virtual galaxy and find sparkling jewelry. This 5-reel video slot boasts forty lines in general mode, 1024 way to win in free spins mode and impressive winning amount, which is up to 100 000 coins. The game has an intriguing feature that allows users to collect Prize-laden Gems, which are celebrated at a special counter. Back to the old days when guys used to sit for hours in bars, upsetting one glass of foamy beer after another and loudly laughing and playing darts. All this is in the new Bullseye slot now at All Slots casino online. Lucky Koi is a cool mobile slot continuing the successful series of Eastern themed games. This one has peaceful and quiet atmosphere, beautiful graphics and colors. This 5-reel and 25-line video slot offers players from 10 to 30 free spins and multipliers of up to 5x.